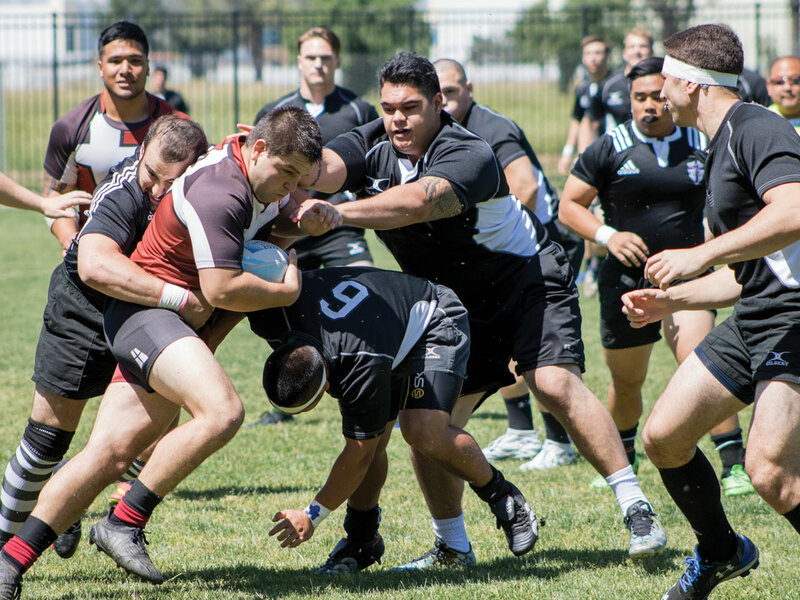 Among all the activities and gatherings of Club Rush at California Baptist University this semester, the rugby club has grown from a club to an organized sport on campus. The team uses the “Lancers” name during on-campus games and practices, but are known as the Spartans when playing games off campus. They are not allowed to identify as a CBU affiliated team when they play against other schools because of liability. After being on a rugby team in high school, Mickey Hike, senior aviation flight major and captain of the rugby team, decided to start the rugby club his freshman year at CBU and has remained dedicated to the club since. Vincent Camagay, freshman nursing major, said he has played rugby for five years and has sustained minor injuries including cuts to the face, sprained ankles and a knee injury. Keegan Rivera, junior mechanical engineering major, said despite the loss in the game against Azusa Pacific University, the game was a learning experience for new teammates who are still learning the rules. “Hike told me there was a rugby club so I came out to practice a couple times and I was hooked,” Rivera said. Hike said starting the club during his freshman year was easy. To start the club again, the team had to talk to the Office of Community Life. The rugby club was reunited at the beginning of the 2016–2017 school year. Hike said he is hoping for a club sports program to start, because only then can the rugby team use the Lancers name and play against other teams. The team encourages students and family to watch their games. To view game times visit @rugby_spartans on Instagram.